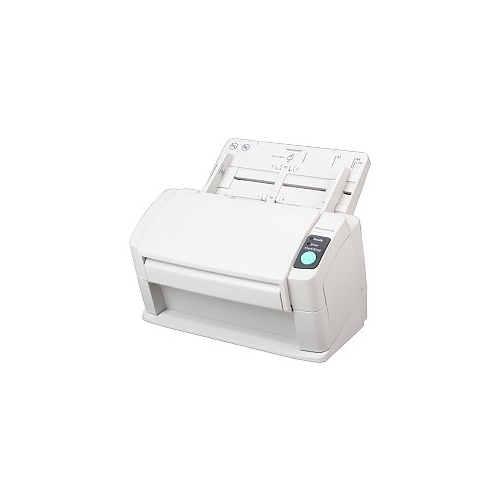 The KV-S1046C's small footprint allows it toconveniently fit into small spaces, such as reception counters. Placing it at the reception area of a bank or hospital allows customer or patient ID cards and other documents to be quickly scanned. This enables real-time information sharing to help provide fast, accurate service. 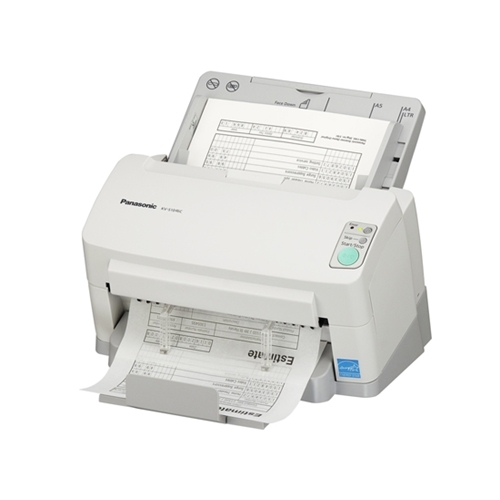 The KV-S1046C can quickly convert a large number of documents into electronic data, so it provides smooth usage even in offices with many users. 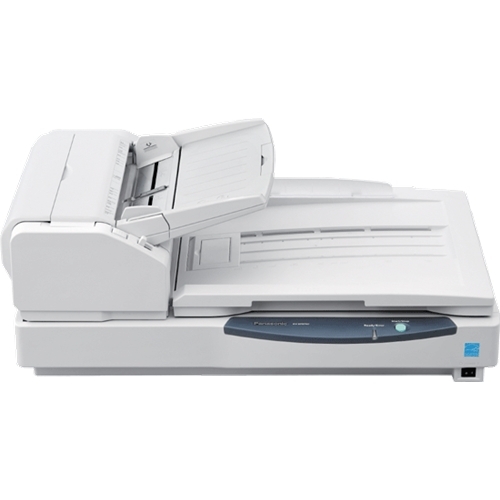 Scanning documents into data makes it possible to consolidate information, which improves work efficiency. And it lowers the cost of handling documents and reduces the space needed to store them. 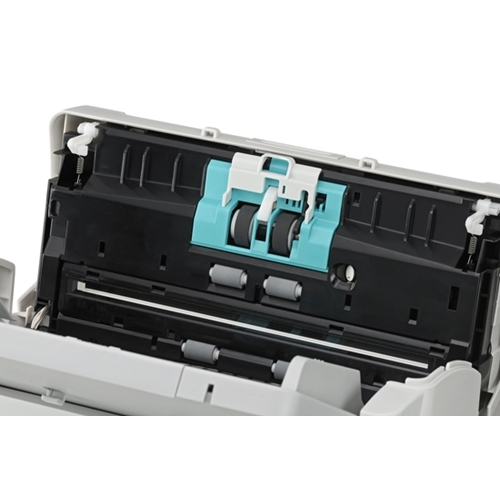 The Active Double-Feed Prevention Roller prevents double-feeding by reversing rotation to separate documents that are stuck together, and then feeds the leading document first. 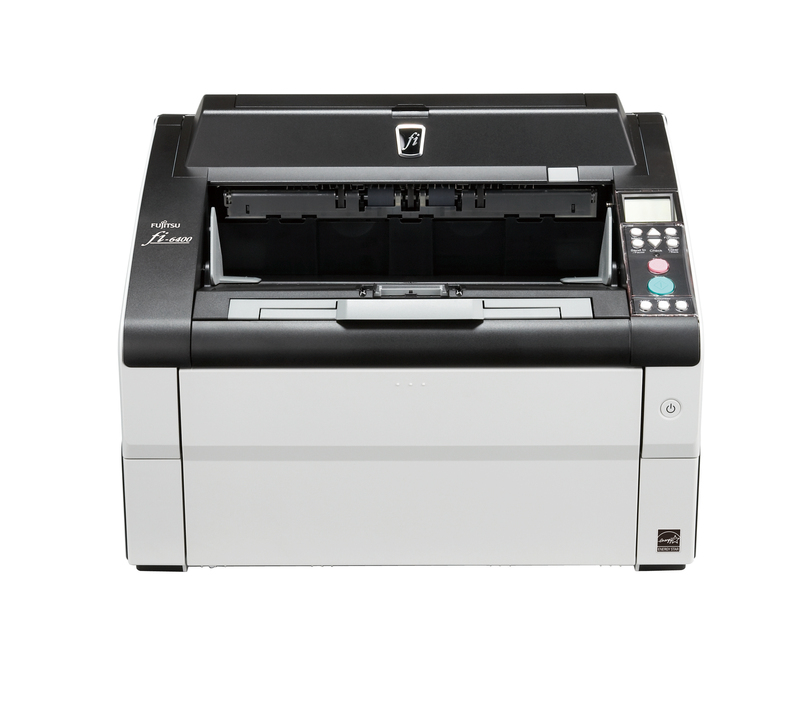 The output speed is automatically lowered for documents that are 5.82 inches or shorter, and the exit guides keep the document from slipping. This stops longer documents from sliding under shorter ones which prevents the output order from changing. The Automatic Image Emphasis function emphasizes the edges of characters and lines to sharpen them and softens the appearance of other parts of the image. Noise (black spots) is also reduced. 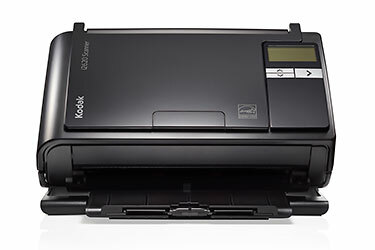 When a scanned image is missing due to an inadvertently folded corner (dog-ear) or a document that is extremely skewed, the Dog-Ear Detection function automatically and temporarily stops the scanning. 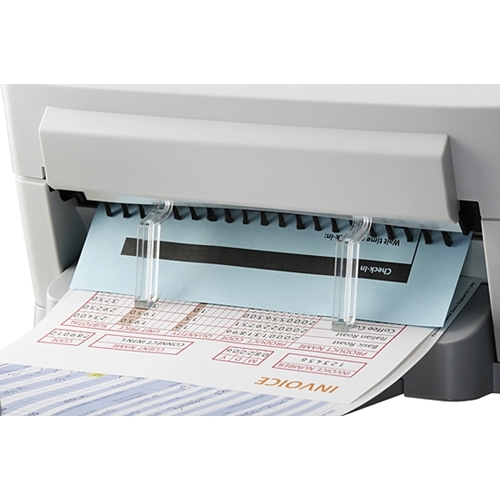 The user can then decide to rescan, or to continue scanning as is. Easy double-feed skipping. Double-feeding is detected by a highly reliable, ultrasonic sensor to prevent feeding problems. When scanning stops due to documents that include things like envelopes or that have sticky notes attached, simply press the Skip key to cancel the error and resume scanning. Easy-to-use data formats can be saved in various data formats, such as PDF, JPEG, TIFF and Bitmap. Scanned data can be moved and saved in a selected folder all at once. Plus, text-searchable PDF and searchable PDF/A data can be generated. Automatic Image Orientation. 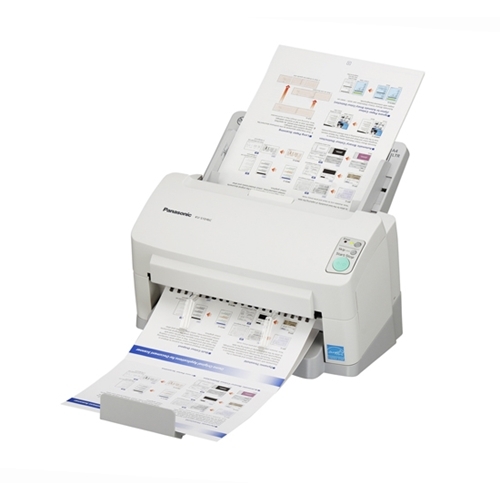 Even when documents are set in different directions, this function detects the direction of the scanned text in documents and automatically rotates it into the correct direction. OCR Zone function. When you use the OCR Zone function, text will be recognized while scanning and acquired as an OCR result that is used in the file name and Output Log. Physical dimensions 12.5" x 8.2" x 7.7"
ADF Feeder Paper Size Length 8.5" x 100"